Muscat, 05 June 2018: Al Mouj Muscat, Oman’s leading Integrated Tourism Complex (ITC), held its Annual Community Meetings (ACM) recently to form a new advisory committee as well to discuss the latest achievements, projects and development plans. 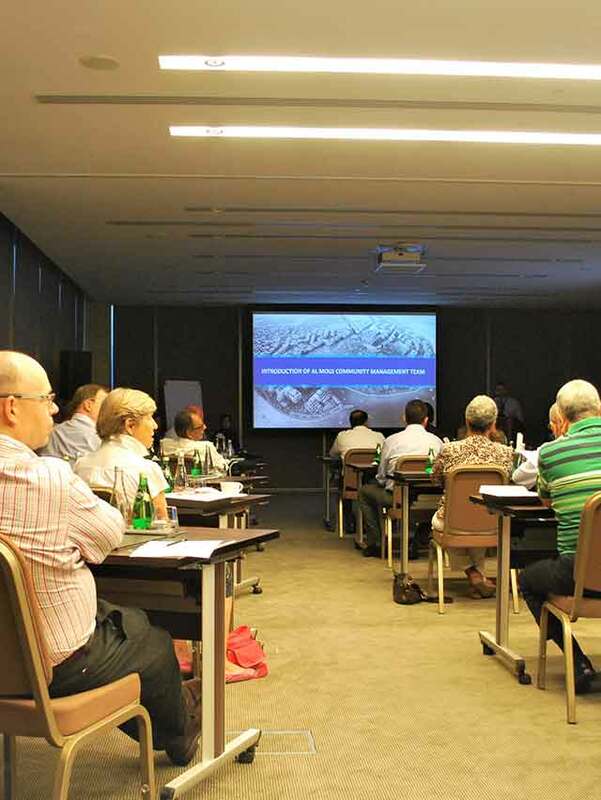 The 3-day meetings with all properties’ owners took place in Kempinski Hotel Muscat, with each property grouping meeting separately including Villa, Townhouse, Apartments. Members of the community were elected to form an advisory committee who will represent owners whilst working with Al Mouj Muscat community management team. The new committee members will look after many areas in assistance of the community management team, these include; providing inputs, ideas and consultation in the development of future community events and initiatives, participating and volunteering in event functions. The committee will also be responsible for giving observational feedback and inputs on needed improvements or enhancements to promote better functionality of the community, sharing and communicating community needs and insights of respective ownership groups; and assisting in identifying the needs of the community not being met. The meetings were a chance to reflect on the successful delivery of recent projects including Marsa Plaza, as well as the development updates for 2018 and beyond. This included the much-anticipated Community Hub, community events planned at Marsa Plaza and across the destination. The event also served as a platform to summarise the changes in the 2018 service charge budget and receive questions from community members on some general matters.